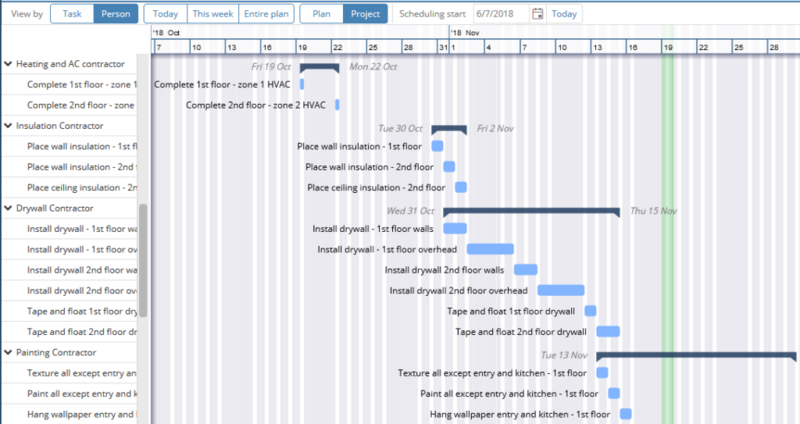 There are two options for viewing the Gantt chart, View by Task and View by Person. We have made the Person view much more useful. Previously the Person view was always collapsed, which displayed all tasks on the same row. This is useful to show when a person is working, but it wasn’t easy to see which tasks the person works on. You can now expand the Person row and each task that the person works on will be displayed on a separate row, as shown below. Import data from Google Sheets! Copyright 2016, GamePlan Global Solutions Inc. All rights reserved.